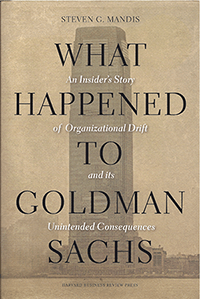 Every organisation evolves and, in doing so, often moves away from its founding principles or markets, In the case of Goldman Sachs, Steven Mandis has managed to give a coherent story of how a major organisation changes, bit by bit, in a process he describes as organisational drift. Mandis had privileged access to many senior people which allowed him to gain insights into how changes occurred in the organisation, and what factors had contributed to them, and the unintended consequences that followed. What is also interesting is, as Mandi points out, that this is ‘work in progress’ and his analytical framework is more appropriate for “analyzing organizational failure in retrospect from a specific event”. But the analysis, and the conclusions about organisational drift, are of relevance to any organisation. It is interesting to read this and also read Michael Lewis’s “Flashboys” where Goldman Sachs becomes a leader in changing behaviour on Wall Street. The client was a small, Tier 2, automotive supplier, based in the North East of England. The management team wished to grow the business beyond the automotive sector but had neither the staff, the time, nor the expertise to take a strategic view of new potential opportunities. Their location enabled them to tap into regional development funding specifically tasked with bringing innovation in the advanced engineering and materials sector. 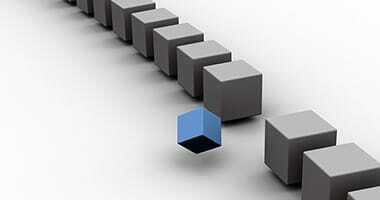 An initial meeting identified the scope of a project that would help the client meet their objectives. In other words, the consultancy was specifically tailored to the direct needs of the client’s business. The assignment began with a carefully structured audit process that gave an accurate sense of the company’s intrinsic expertise and their ability to grow. 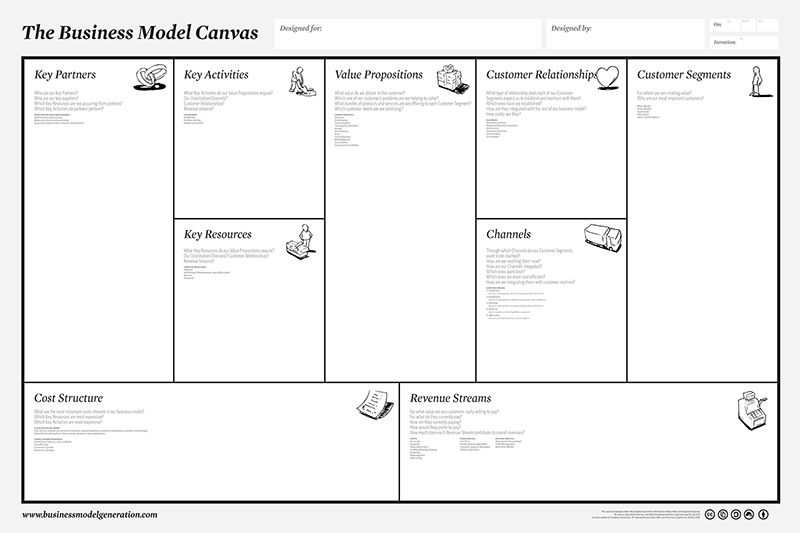 The Osterwalder model provides a good structure for this. Taking this knowledge, a short period of research quickly uncovered several potential opportunities. Taking these further, we made contact with several potential new customers in new market sectors to explore whether the client could be a supplier. 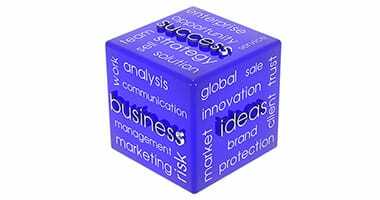 The final deliverable was the presentation of a short list of new contacts, all of whom had expressed an interest in meeting the client company to discuss new business opportunities. This approach serves as a good example of where the type of consultancy provided by Grounded Innovation is closely matched to the client’s realistic abilities to benefit from the output of the consultancy project. NOTE: This case study is drawn from personal experience; the name of the client has been withheld for reasons of confidentiality.